I see Traffic Mistakes ALL the time these days. Those of you who know me will know that I’m becoming quite a ‘traffic guy’ and working with Elite Marketing Pro and Traffic Authority over the last few months I have managed to double my business and I’ve got customers flooding into my businesses from all over the place! 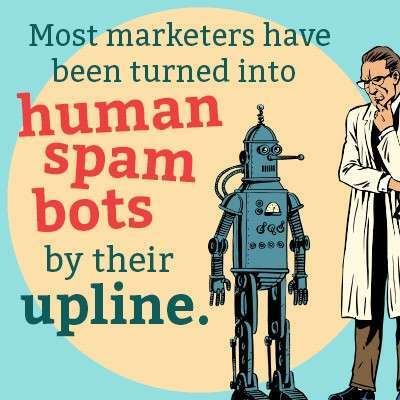 And because of this deeper involvement with all things traffic, I am exposed to greater numbers of marketers making crazy traffic mistakes that are destroying theirs and other people’s livelihoods. So, please, DON’T be like them. You might be humming along, doing your thing, with no idea how close you are to a disaster that could completely cripple your business, waste your advertising budget, and ultimately crush your entrepreneurial dreams. Each of them is important but I believe that Number 1 is by far the most important and the one most people get wrong! I just read this interesting and value-packed blog post by Gary Vaynerchuk, legendary social media leader and founder of Wine Library TV. He explains how he often leaves money on the table in favour of the long game. He knows he will win the war. You can read his post here. It reminded me of a true story a good friend of mine told me a few years ago. Let’s call him Jim. Jim had inherited a large timber business from his father after Jim had miraculously saved his father’s life when he pulled him free after he’d become entangled in an industrial band-saw. That was the good news. The bad news was that the business was struggling in a competitive market and he was hampered by out-of-date equipment and a lack of skilled staff. But Jim was like me and had an entrepreneurial streak a mile wide so he took on an agency role with a Canadian Log Cabin company as he figured it was fairly congruent with having a timber business. He had a show-cabin built on-site and it looked awesome. Unfortunately, the recession was starting to bite and Jim’s timber yard was miles away from any main population centres. After a few months no-one had bought a cabin. It certainly didn’t feel like he would win the war at that point. One day, at around 5 pm when Jim was finishing a gruelling day’s work, he got a call from a guy about fence posts. Now there is a huge demand for these in the countryside, naturally, but lots of competition and low margins so it wasn’t something Jim sold a lot of. The guy wanted something special. An unusual wood that would stand out against the normal fast-grown soft wood standard products. Jim explained the various features and benefits of pine against larch and the costs of elder or beech. Despite the time of day, the call lasted almost an hour. Becoming impatient by this time Jim decided to cut to the chase and asked him if he was serious about buying. ‘Yes! You’ve convinced me on the larch wood. At this, John told me he just wanted to tell the guy exactly where he could stick his fence post. But he bit his tongue and agreed to have the single post ready for collection at 6.30 pm that evening. He told me he was still fuming when the guy eventually turned up at almost 7 pm. But can you add one of these wonderful Canadian Cabins onto the invoice too. Success breeds success and Jim went on to sell quite a few of the log cabins and he never ever quibbled about giving advice for free, giving the best service he could and always creating raving fans whenever he could. So did Jim win the war. He certainly did! He sold his business a few years later and he now travels the world climbing mountains. Now this is a perfect example of Attraction Marketing in action and it has become one of the leading methods of doing business online. I base ALL of my marketing on this principle. I started up an online health and fitness business and pumped out award-winning advice and support for an entire year before I tried to sell anyone a single thing. I now have around 10,000 loyal subscribers for that business. That is why I love working with Elite Marketing Pro. They practically invented #attractionmarketing with Mike Dillard a few years back and they have gone on to sell $30 million of high quality training materials and resources. But every week they still provide top notch advice that works for free. So come and find out more about Attraction Marketing and how powerful it can be. It won’t cost you a thing. And it might just help you win the war too. Do you need to generate leads for your business? Of course you do. We ALL do! But leads that are top QUALITY. As in… people who are ready-to-buy. And what if I could show you how you could generate leads like these at a profit? My friend Tim Erway just recorded a brand new list-building crash course that will show you how to add ready-to-buy leads to your email list RIGHT NOW. You know I’m big on Traffic and I’ve done very well over the last few months with my own traffic business, doubling my list in fact. I’ve been doing so well that last week I bought my wife her dream house by the ocean and I paid CASH. But I don’t mean to brag here I just want you to know that I know a good thing when I see it when it comes to traffic. BUT – You may have experienced another problem – I know I have in the past! There is only one thing that’s worse than getting NO TRAFFIC after launching a new ad campaign. And that’s getting visitors that come to your page, look around, and immediately leave. You stare at your ad manager and see clicks. But then you log into your auto-responder, and hear the sound of crickets and tumble-weed blowing through. Your capture page is incongruent with your ad. The people who get to your website, don’t want what you’re offering. And what’s really disappointing, is you’re spending your hard earned cash to generate leads to your page, just to see them bounce off in mere seconds. This is a big time problem with many capture pages. I own a traffic business and I know that throwing more traffic at your page is hardly the answer. It would make just as much sense as trying to fill up a bucket full of holes with water. If your page is not converting, it’s got big gaping holes that are leaking traffic. The only solution is to patch up these holes by offering your visitors what they want. A lead magnet that is so compelling, that your prospect will say – I want this now. So, I’ve got your back. In this new list-building crash course, Tim Erway will show you the missing ingredient to creating that perfect lead magnet. As well as the secret sauce to making your lead-generation campaigns profitable. Here’s how to patch your leaky capture page and start getting leads RIGHT NOW.